Eataly was created in 2004 by business mastermind Oscar Farinetti, and promotes healthy, locally sourced eating habits worldwide. 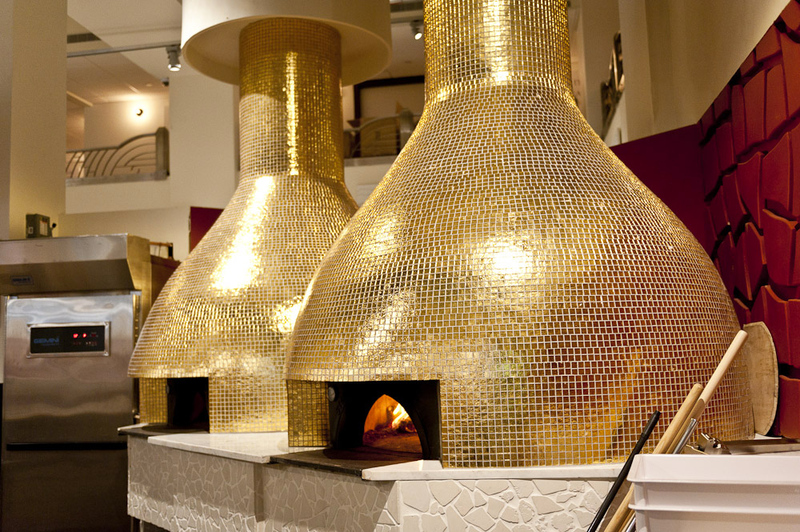 Recently, Eataly celebrated an addition to the family ha! The Guardian defines Eataly’s FICO in Bologna as “the world’s biggest food park”.Bring on the noms, we say! Only the best Italian products make it to Eataly’s shelves. Currently, the chain consists of 40 shops across the globe. Each location includes grand-scale grocery and farmers markets, culinary bars and cooking courses. In addition, Eataly promotes awareness of supply chains, as well as the sustainable and eco-friendly consumption of its products. 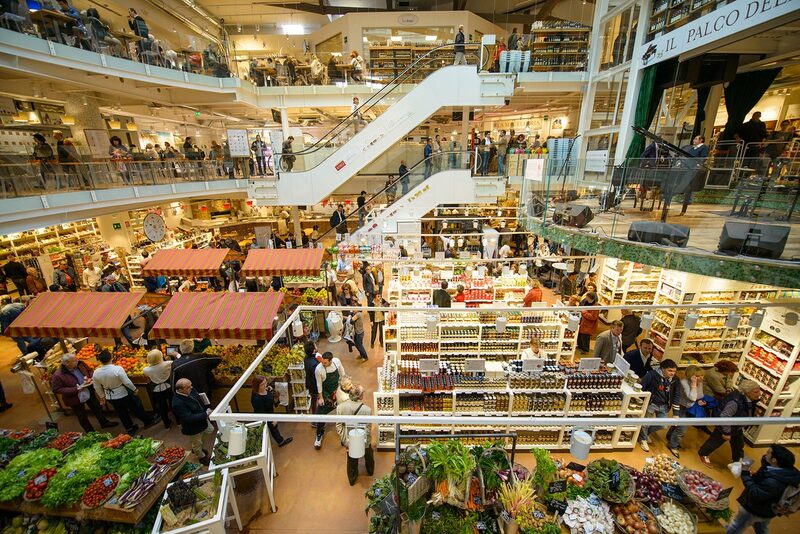 The first Eataly store opened in Turin, in an old industrial building not far from the FIAT headquarters. 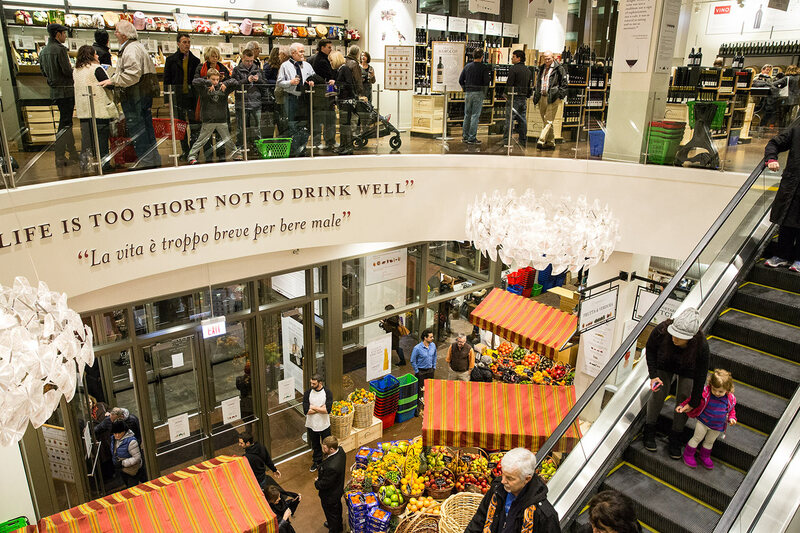 Its premises are crucial to defining Eataly’s ambitions. Namely, to tackle the accessibility of food and the dilemma of primary resources in the post-industrial era. 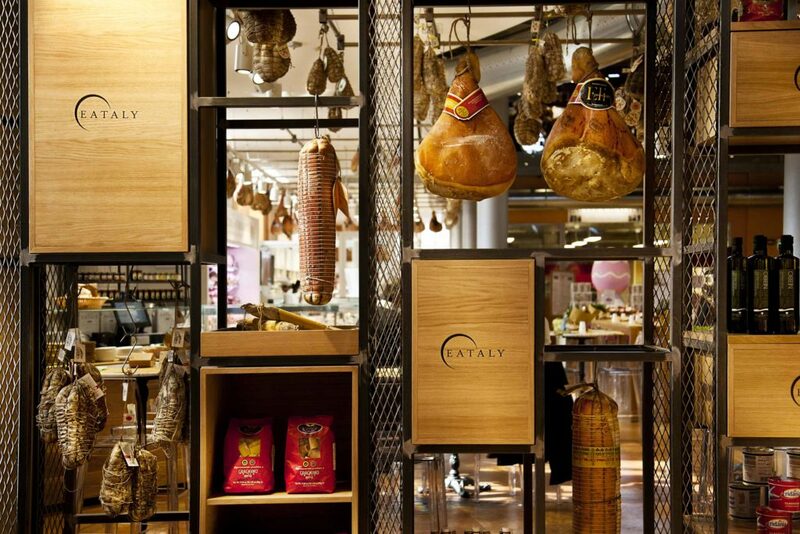 Eataly also partners with Italian and international farming cooperatives and primary sector producers. As a result, they provide over 3,000 certified quality products. Today, the brand has stores in Italy, the USA, Brazil, Germany, Denmark, Turkey, Japan, South Korea, the UAE, Qatar, Saudi Arabia and on three MSC cruise ships. FICO Eataly World Bologna is the ultimate agri-food market and the biggest distribution platform for Italy’s immense culinary traditions. There are 45 gastronomic sites and hundreds of selected stalls. 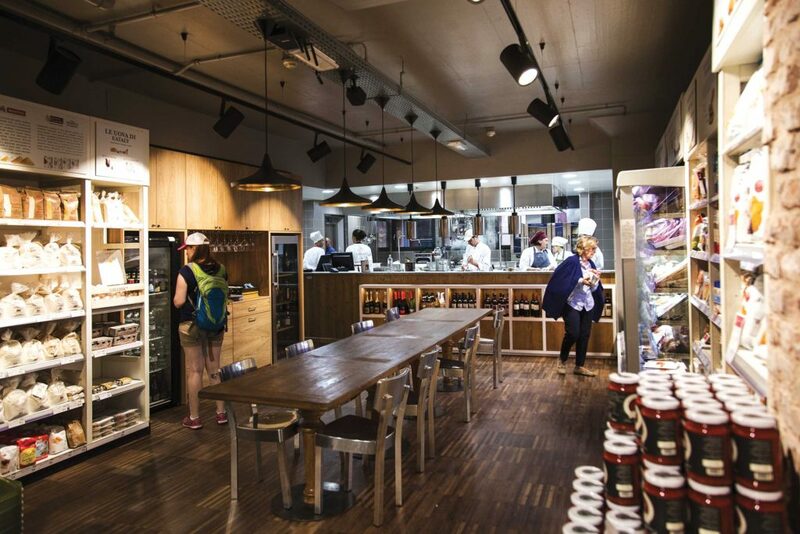 Scores of ingredients, wines, and kitchenware cover 100,000 square metres. The initiative supports an educational approach to food. You can take one of the daily courses or attend one of the many seminars. The programme also offers educational farm stalls and interactive games. FICO (Fabbrica Italiana Contadina or The Italian Farming Factory) launched in November of 2017. Ten principles govern its 2018: seed, farm, crop; be seasonal; listen and share; love differences; learn traditional expertise; have fun; discover and describe Italy’s innermost beauty; united we are stronger; we are all animals; do something fico (Italian for ‘cool’). As a result, FICO Eataly World Bologna promises to bring us all the taste and the beauty of Italy. My Italian Link, for one, cannot think of a better way to profit from Mother Nature’s bounty! 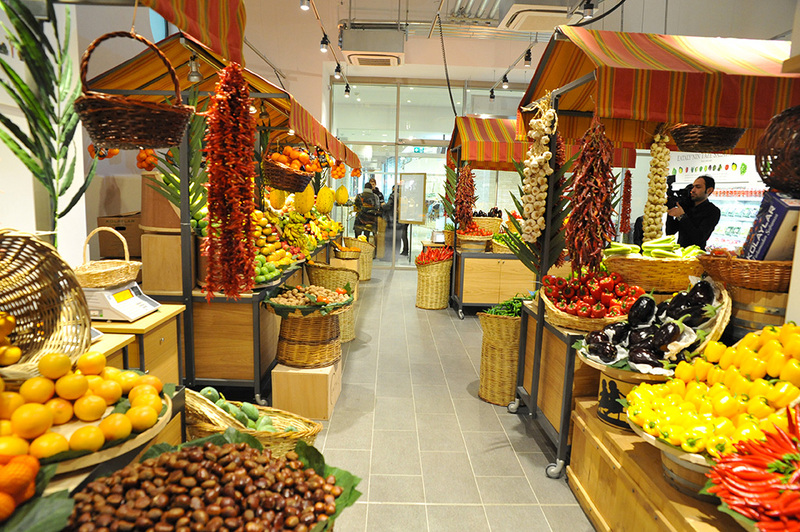 Visit FICO Eataly World on Via Paolo Canali 8, Bologna. They’re open every day from 10:00 a.m. to midnight, and entrance is free! 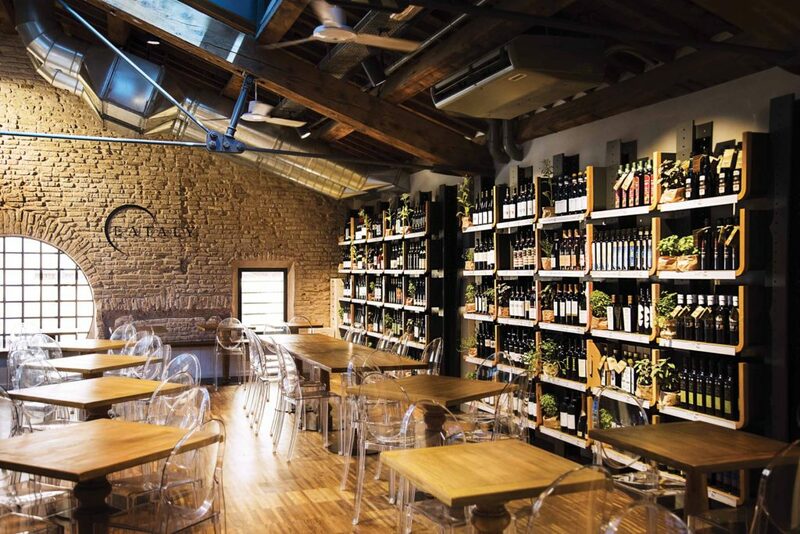 One of Eataly’s most influential partners is Slow Food. The relationship between the two began in 2003, before the first store had even opened. Slow Food is an international organisation that proposes an alternative to the fast food industry, and protects biodiversity. Slow Food’s numerous programmes promote a natural approach to the food industry. Additionally, they promote the development of a conscious and educated market. One that demands ‘good, clean and fair’ products. Slow Food is the brainchild of Carlo Petrini, who has since become a no-global icon. He is often regarded as a guru of micro economy. In South Africa, the organisation endorses several urban gardens and markets, and protects products such as Nguni beef and Umqombothi brew. Read our exclusive interview with Oscar Farinetti, or check out the official Eataly website. ©Paolo Brignone - The Eataly Milano Smeraldo market in Milan, Lombardy. 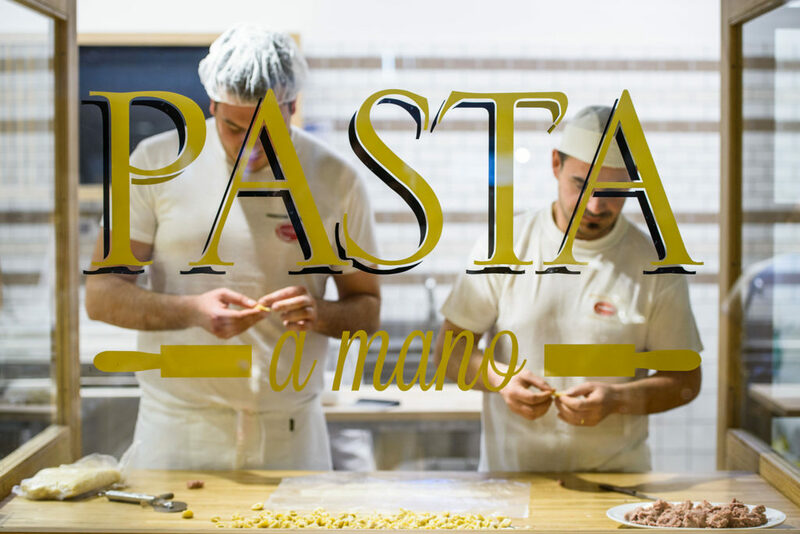 Handmade pasta at Milan’s Eataly Milano Smeraldo. 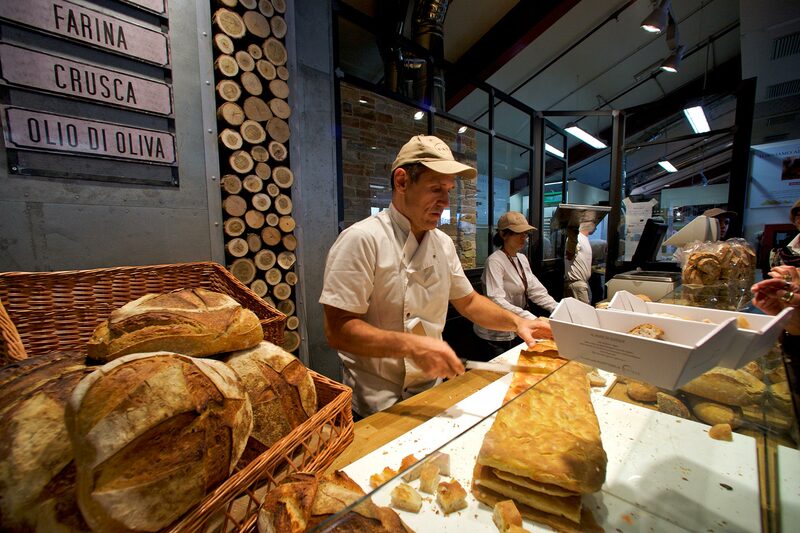 The artisanal bread section at Eataly Genova, Liguria. 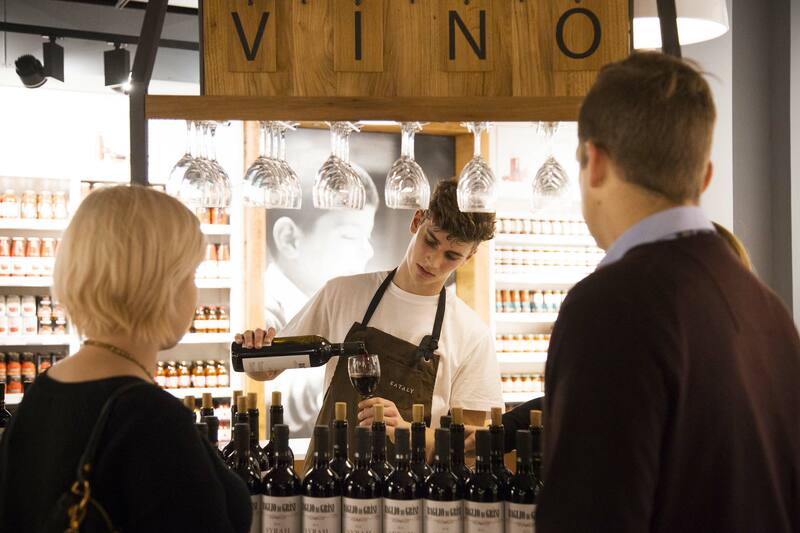 Wine tasting at Eataly Copenhagen, Denmark. ©Galdones Photography - “The Eataly market in Chicago, USA. 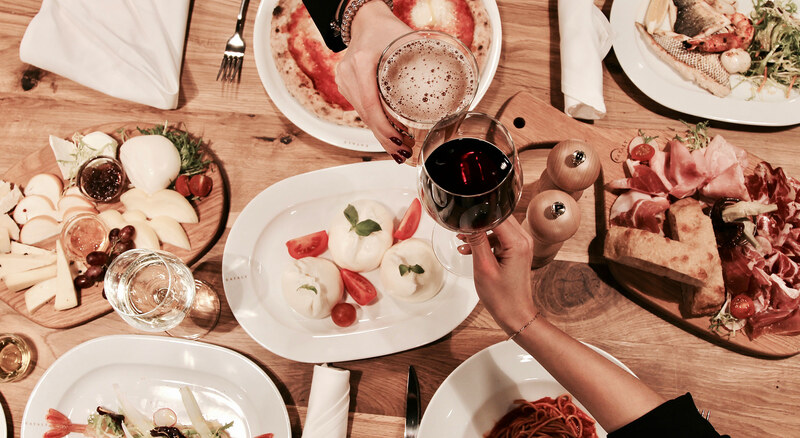 A toast over piatti in Eataly Moscow, Russia. 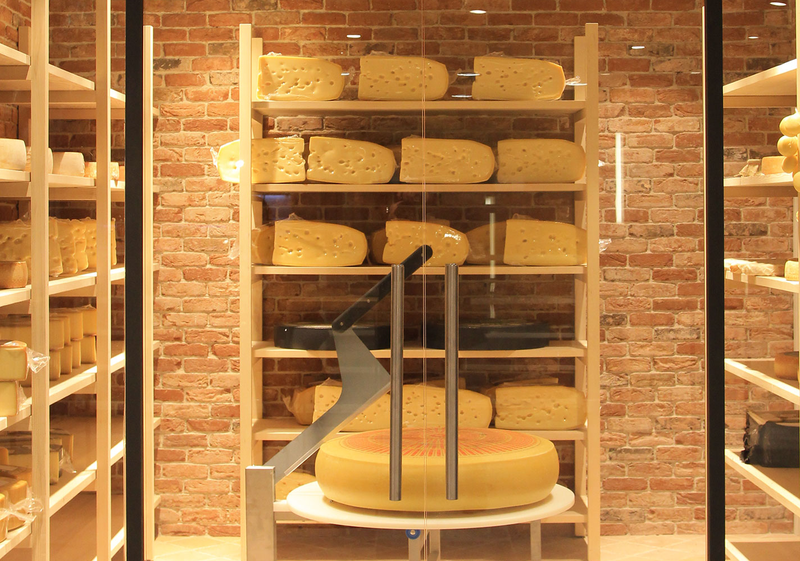 An aging cellar for Italian cheese in Moscow, Russia. 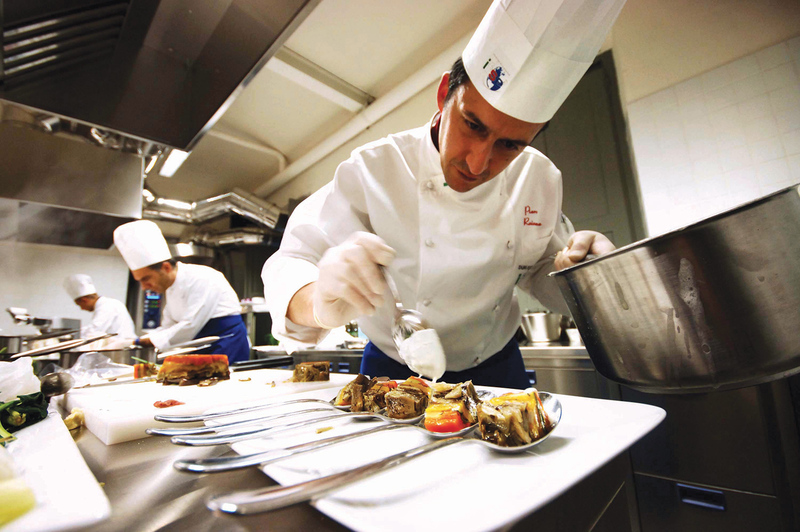 A chef preparing slow food dishes in Turin, Piedmont.